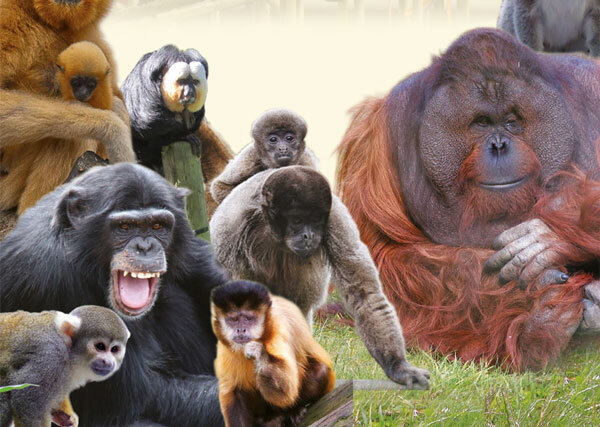 The 65-acre Monkey World park in the heart of the Dorset countryside is home to over 250 rescued and/or endangered primates of 20 different species. Many have been neglected, kept in unnatural conditions or experienced unbelievable cruelty. Some are now part of international breeding programmes for endangered species. Here they can all enjoy the company of their own kind in a safe and natural environment. Open every day, except Christmas Day, from 10am to 5pm. Monkey World was set up in 1987 by Jim Cronin to provide a permanent, stable home for abused Spanish beach chimpanzees. Today, Monkey World continues to work with foreign governments worldwide to stop the illegal smuggling, abuse or neglect, of primates from the wild.